Sci-Fi theme fans, this new release is going to please to the depth of your being. And not only them will be attracted and amazed. 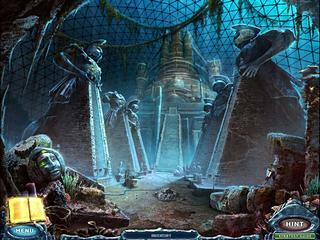 Eternal Journey: New Atlantis features absolutely beautiful graphics and entertaining puzzles. Diving and riding a train are totally impressive. 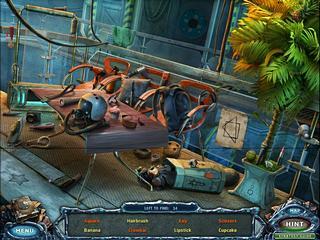 The game really stands out among other games of the hidden object puzzle adventure genre. It is so obvious that lots and lots of work and care has been put into this game. The graphics and cutscenes are just different from the many games that you usually see. It is almost like you are playing a video game and watching a movie at the same time. The story of the game is a perfect basis for such great visual art since it is Atlantis that you are to discover and explore. Diving and riding a train are totally impressive. You are going to search for many tools and instruments to be used later in the game. There are many hidden object scenes that don't seem to challenging. But it always depends on the experience of the player, too, so it might not be objective. The hint system is helpful if needed as it recharges fast. They work both for the hidden objct levels and for the adventure part. There is also a Strategy Guide to use, and a map to hep you figure out the locations. The game is very good and polished in most of its aspects. This is Eternal Journey: New Atlantis review. Download this game here.